MEMPHIS, TN. 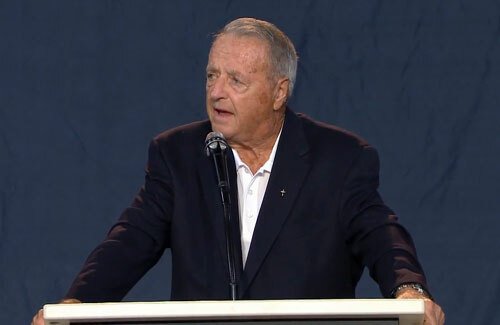 — Bobby Bowden, former football coach of the Florida State University Seminoles, has been named the keynote speaker at the Fellowship of Christian Athletes/AutoZone Liberty Bowl prayer breakfast. 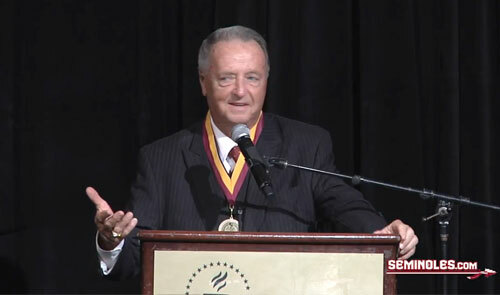 The breakfast will be held Dec. 28 at 7:30 a.m. at the Hilton Memphis Hotel. Tickets are $80 or $750 for a table of 10 and can be obtained by contacting FCA staffers or volunteers. For more information, visit MemphisFCA.org. UNIVERSAL CITY, CA. — Pro surfer and shark attack survivor, Bethany Hamilton, is scheduled to appear at Universal Studios CityWalk Flip Flop Shop on Saturday, March 29 from 12 noon to 3:00 p.m for an autograph signing. As a Cobian Ambassador, Bethany will be celebrating the retail launch of her Cobian Limited Edition Signature Sandal with music, fun, activities and giveaways for the crowd. Large crowds are expected to attend the event so Flip Flop Shops recommends fans arrive early for the best possible chance to meet Bethany. Photo shows Bethany Hamilton speaking in a Nov. 2013 interview 10 years after her shark attack. WASHINGTON, DC — ‘Soul Surfer, Bethany Hamilton, recently spoke during the National Prayer Breakfast held on February 6 in Washington, DC. Bethany spoke about her recovery after she lost her arm in a shark attack at the age of 13 and how her faith in Jesus Christ continues to give her the strength to overcome life’s adversities. Hamilton read two biblical passages and focused her message on overcoming adversities during her speech. VALDOSTA, GA. — Legendary football coach, Fisher DeBerry, was introduced by VSU head football coach, David Dean, on Thursday evening, December 8, at The Valdosta State University Fellowship of Christian Athletes “Dinner with a Legend.” The dinner was held at Crosspointe Church and began with Valdosta State University athletes and members of the VSU Fellowship of Christian Athletes escorting guests to their designated tables. 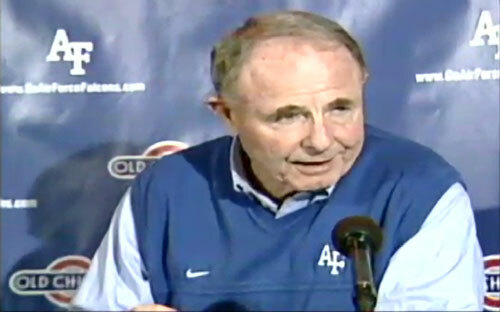 Photo shows former college football coach, Fisher DeBerry, speaking in an interview.